While there has been a lot talk lately of the likelihood of Sherlock Holmes 3, Guy Ritchie and Jude Law already have another team up on the cards, with the actor taking on bad guy duties in Ritchie’s King Arthur: Legend of the Sword, the first of a possible, and incredibly ambitious, six film series that will present a more rough around the edges version of the Arthurian legend. 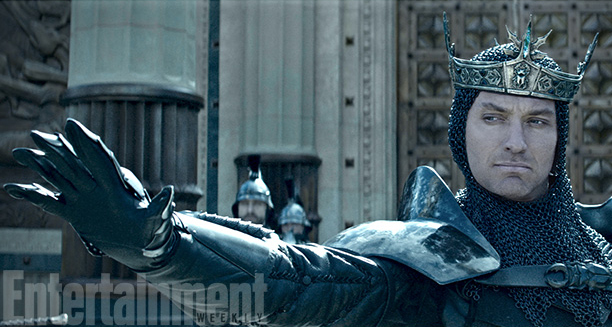 EW have the first image of Law as Vortigern, chainmail enthusiast and usurper of the throne after killing his brother Uther Pendragon (Eric Bana), father of Charlie Humman’s Arthur. 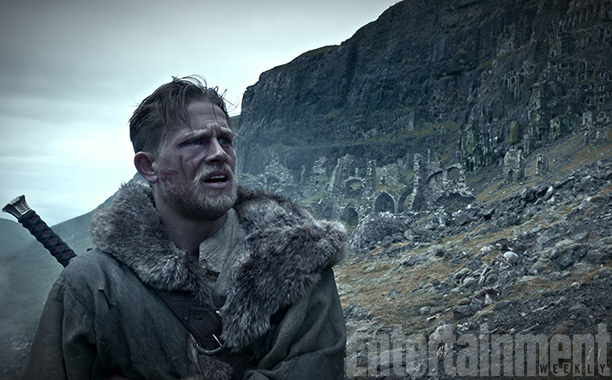 We also have a new image of a roughed up Humman as the big bad’s nephew and once and future king of England.